This is a gorgeous authentic Coach or Coach inspired 7 1/2″ sterling silver perfect circles double heart charm bracelet. 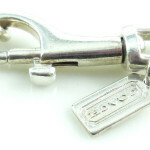 It is marked, tested and Guaranteed solid sterling silver. 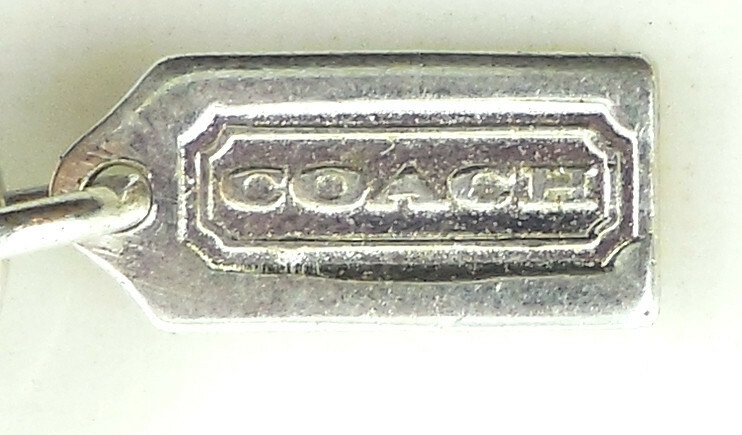 It has the original Coach, Turkey, 925 sterling tag on the end link. It also has the Coach lozenge insignia on the back of the heart. Authentic, genuine, real Coach sterling jewelry. 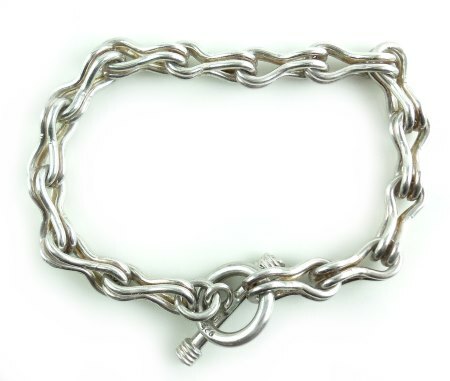 The chain links are 5/16″ wide and very thick. This is an extremely well made bracelet. The perfect circles intertwined hearts are 1 1/4″ across. Original owner did not use this much at all. Great, Excellent condition. No damage or repair. This is a gorgeous Coach bracelet for your collection. 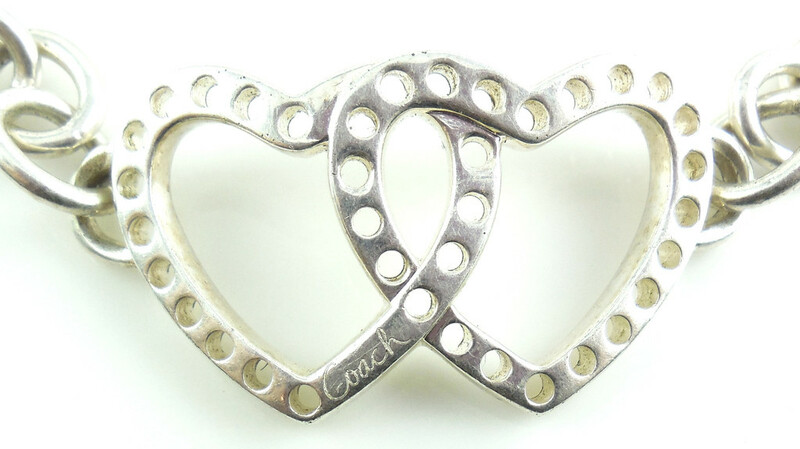 This is a gorgeous Coach or Coach inspired 7 1/2″ sterling silver perfect circles double heart charm bracelet. 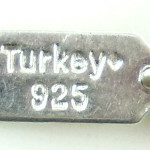 It is marked, tested and Guaranteed solid sterling silver. 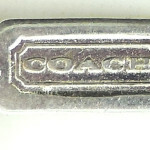 It has the original Coach, Turkey, 925 sterling tag on the end link. It also has the Coach lozenge insignia on the back of the heart. Authentic, genuine, real Coach sterling jewelry. The chain links are 5/16″ wide and very thick. This is an extremely well made bracelet. 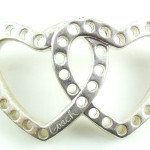 The perfect circles intertwined hearts are 1 1/4″ across. Original owner did not use this much at all. Great, Excellent condition. No damage or repair. This is a gorgeous Coach bracelet for your collection. 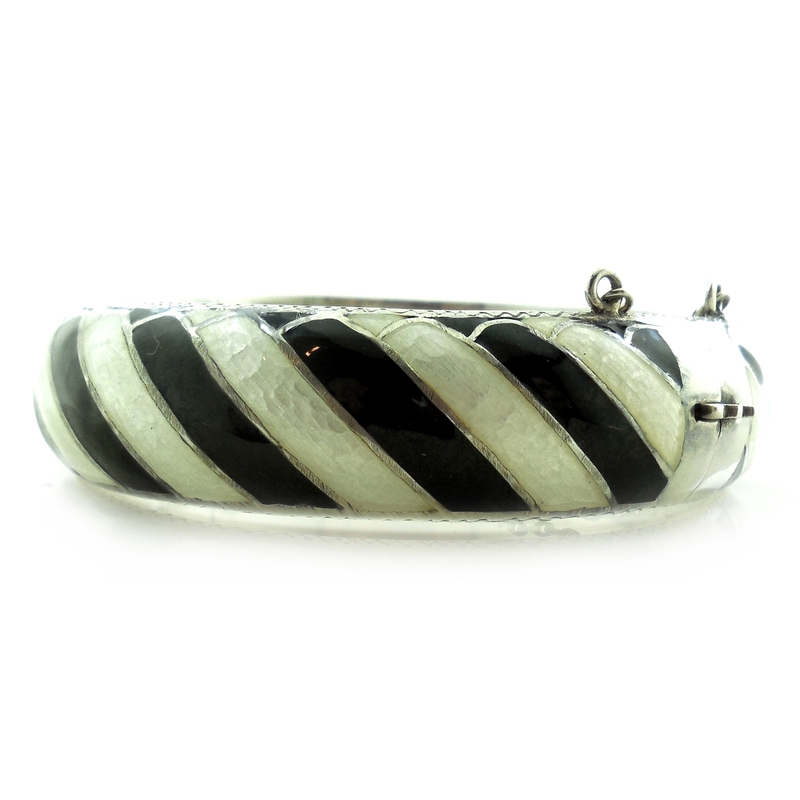 This is a gorgeous vintage zebra patterned black and white enameled sterling silver bangle bracelet in excellent, no damage condition. Could use polishing. 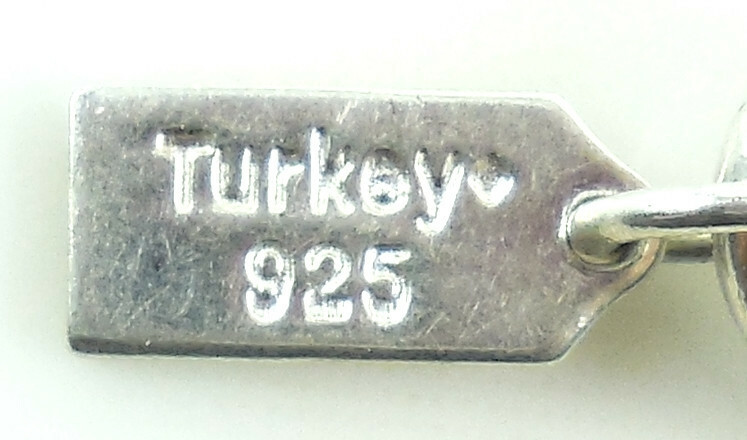 It 925 marking that is partly worn. 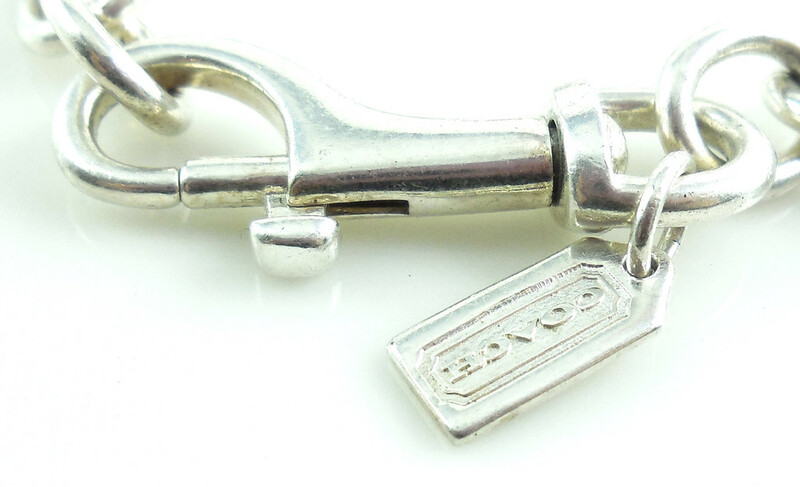 Also tested and Guaranteed to be sterling silver.....NOT plated. Size is 2 3/8" in diameter across the inside open space/gap. The inside circumference measures 7 1/2". It is chunky and the width is 5/8". Weight is 36.5 grams. The black enamel is flat black and the white enamel is French Guilloche type enamel work. 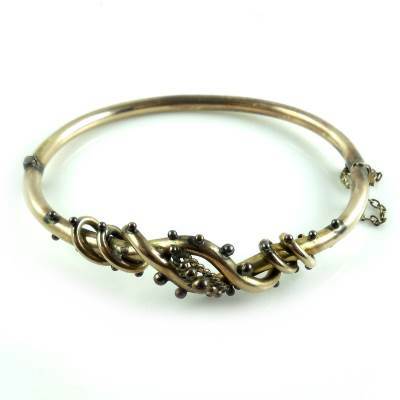 This is a great showy vintage statement bracelet for your collection. 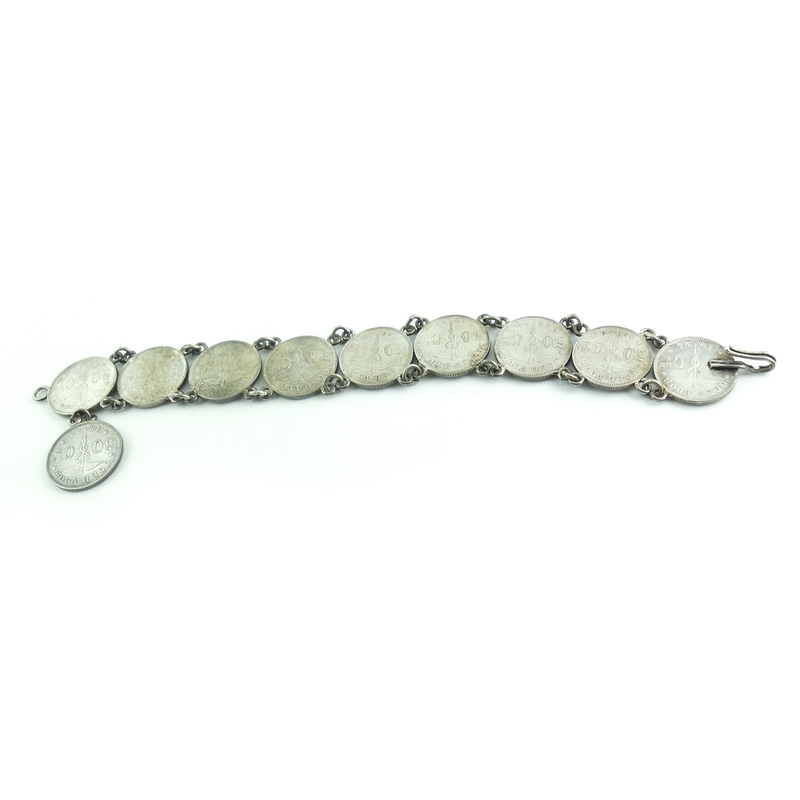 This is a solid 925 sterling silver toggle bracelet with large, dog-bone chaining. Each dog bone link is 9/16" long and intertwined into the next bone; a nice, showy, 3 dimensional look. Size is 7 1/2" long. Width is 1/4" on the wide part of the bone. Weight is 25.3 grams. Condition is excellent. It has a good, strong toggle. 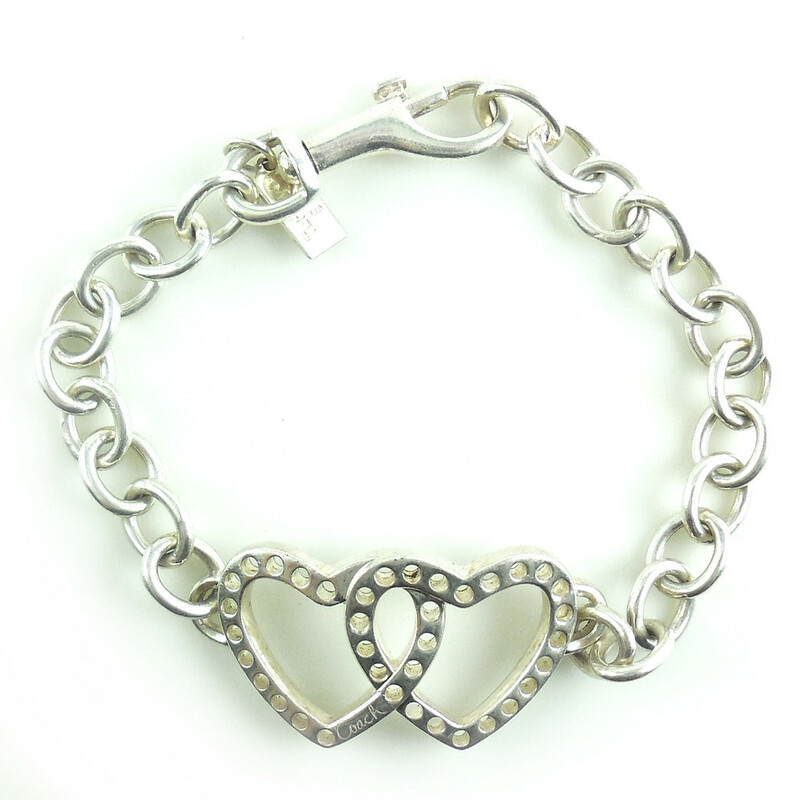 This is a beautiful, thick sterling silver bracelet for your collection.